Roots, Rock, Dub & Reggae - this EP is a DUB mix versions of the songs. The SOUTH BAY DUB ALLSTARS don't skip a beat for anyone!!! This 10-piece powerhouse with a 3-horn section, over 40 original and cover songs, and 15 years of performances across California & Oregon, continues breaking down barriers with an unstoppable roots reggae vibe and a mix of funk, soul, and pop. With members living in Sonoma County, Gold County, San Francisco, San Mateo County, San Jose and Monterey. The South Bay Dub Allstars bring people from all across California. With their variety of flavors. The South Bay Dub Allstars draw crowds from popular music and dance club scenes, while continuing to captivate respect in the reggae and world music scenes. Previously known as DubFX, The South Bay Dub Allstars have played at Cali Roots 2016, Reggae on the River (Garberville), Monterey Bay ReggaeFest (Monterey), Umqua Music Festival (Oregon, and Unity Festival (Guerneville). South Bay Dub Allstars have opened for reggae icons such as Toots And The Maytals, Yellowman, Mikey Dread, Barrington Levi, and Eek-a-Mouse. 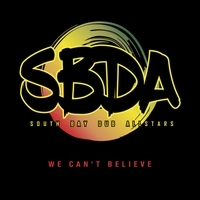 Members from the South Bay Dub Allstars can also be seen in Monkey, Dub Nation, and The Seen Reds.